Good Old-Fashioned Fun - with Elastoplast! 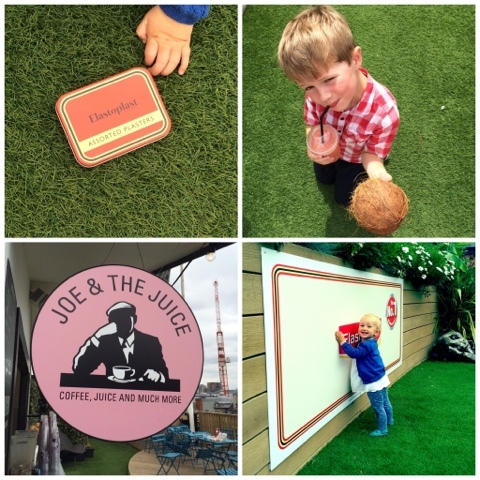 Last week we were invited to spend a few hours having some 'good old-fashioned' fun, courtesy of Elastoplast. 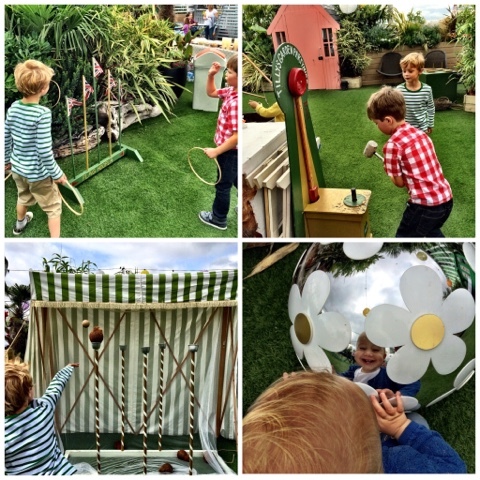 They had recreated a village fete feel, complete with games such as the coconut shy, hook-a-duck and hoopla but amazingly, all this took place on the roof garden of John Lewis! We were sipping freshly squeezed juices 5 storeys above London's busy Oxford Street and you couldn't even hear the traffic. It was bliss! The children all had a great time - the games (and lunch) kept them occupied and interested for a couple of hours (no screens needed!) before we took a joy ride all the way back down to earth on the escalators in the centre of the store.